Company founders Adam and Eve (Yep, that’s right, those really are our names) met one another in Australia while studying. They got chirping over a couple of chilled ciders, and later asked themselves why, in beautiful Austria, with its world class apple trees, there just isn’t any world class cider. And hey presto, the Goldkehlchen idea was born! A fantastic day for cider. 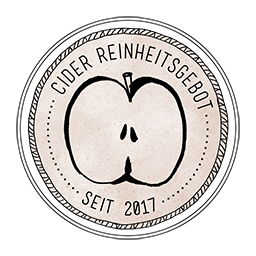 Since then Adam and Eve have guaranteed that Austria has the best cider there is to offer! Made out of premium apples, hand picked in Styria, for world class connoisseurs.